digital_self. IMMA - Irish Museum of Modern Art, Dublin. Alibi (co-designer, facilitator). Dublin Castle. Alibi (co-designer, facilitator). Live Collision, Project Arts Center, Dublin. Display Show. Stroom Den Haag, The Hague. Periodical Review. NCAD Gallery and Pallas Projects, Dublin. Display Show. Eastside Projects, Birmingham. (love story). Online installation for RGKSKSRG. Display Show. Temple Bar Gallery + Studios, Dublin. 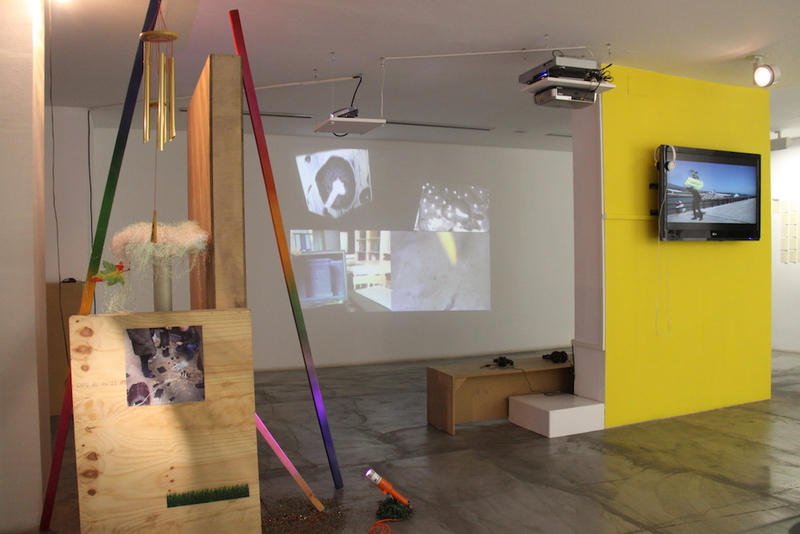 Curated by Gavin Wade, Celine Condorelli, & James Langdon. vague horde disrepair in blue clay accretion. Note On at Project Space Festival, Krumme Lanke, Berlin. Curated by Suzanne Husse. Tonight, You Can Call Me Trish. The LAB, Dublin. Curated by RGKSKSRG. Online/Offline. Altes Finanzamt, as part of Transmediale Vorspiel, Berlin. Curated by Lorenzo Sandoval. DE.fragmentation. Pixxelpoint International New Media Festival. Nova Gorica, Slovenia. Online/Offline. Galeria Valle Orti, Valencia. Curated by Lorenzo Sandoval. Web favorites, before/after. Curated by Adam Cruces for Lunch Bytes Platform. Speedshow: Never Gonna Gif You Up. OpenHere Festival at Global Internet Cafe, Dublin. Curated by Nora O' Murchú. Speedshow: Exterior Scrolls. Cyberspace Cafe, Calgary. Curated by Rick Silva & Justin Waddell. Gradients - Inside the internet rainbow. Mastermind Gallery, Casablanca. Bcc#7. Stadium Gallery, Chelsea, New York. Curated by David Harper and Karen Archey. TRANSCEIVER: Part 1. Bemis Center for Contemporary Art, Omaha, Nebraska. TRANSCEIVER: Part 2. Drift Station, Lincoln, Nebraska. BYOB Venezia. Padiglione Internet at the 54th Venice Biennale. Curated by Rafael Rozendaal et al. You remind me of a poem I can't remember. Curated by MonsterTruck Gallery for InFlux, at OccupySpace, Limerick. Offline. Temple Bar Gallery + Studios, Dublin. Curated by Rayne Booth. Personal Navigation Assistant. TCB Art Inc., Melbourne. Xtravaganza. Monster Truck Gallery, Temple Bar, Dublin. JstChillin: Read/Write. 319 Scholes, New York. Curated by Caitlin Denny & Parker Ito. Rapture Heap: Back 2 Reality (solo). Unit 3, James Joyce st / Liberty Corner, Dublin. 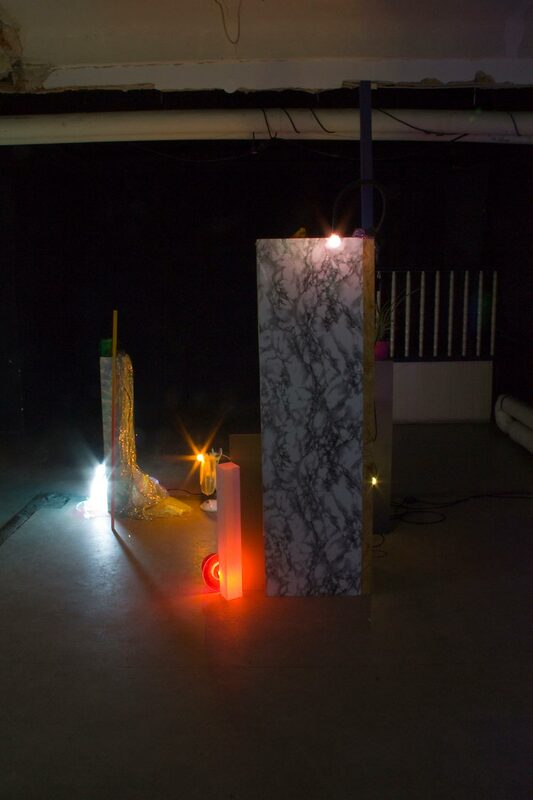 Part of Percent for Art Commission curated by Aisling Prior. Welcome to my Modern Fantasy. Monument 2 Gallery, Chicago. Curated by Bea Fremderman. New Living Art. Irish Museum of Contemporary Art, Dublin. Kinetoscope Parlour. The Workhouse Test, Callan, Co. Kilkenny. Instantaneous Personal Magnetism. Galway Arts Center, Galway. Curated by Padraic E. Moore. Scented Candle (performance and visuals). w/ Steller Om Source, Cian Nugent, Boys of Summer, School Tour. Space54, Dublin. Rapture Heap: The True Artist Helps the World by Revealing Mystic Truths. 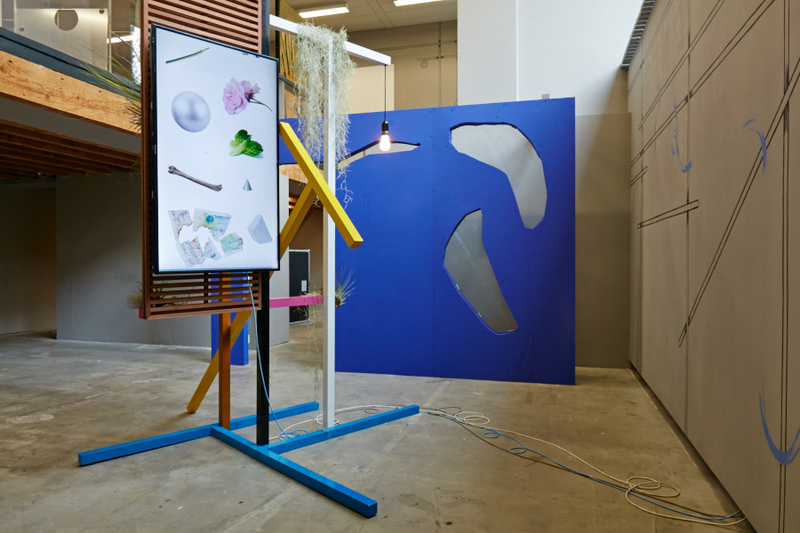 Installation containing works by Brian Blomerth, Petra Cortright, Garrett Crabb, Mark Durkan, Joel Holmberg, Oliver Laric, Matt Lock, Guthrie Lonergan, Ruth Lyons, Jacob and Jessica Ciocci. Unit 3, James Joyce st / Liberty Corner, Dublin. Once Upon a Time in the West. Pixxelpoint International New Media Festival. Slovenia. Curated by Domenico Quaranta. It Goes On. Temple Bar Gallery + Studios, Dublin. Contemporary Semantics Beta. Arti et Amicitiae, Amsterdam. Curated by Constant Dullaart. Forms of Melancholy. Sego Art Center, Utah. Curated by Chris Coy/Seecoy. Mental Dynamics. Synchronicity Space, Los Angeles. Curated by Stephanie Davidson. Save 4 Web. Xpace Gallery, Toronto. Scented Candle (performance). Skinny Wolves house party w/ Lucky Dragons. Lombard st, Dublin. Munitions Family (performance). A4 Sounds at Joy Gallery, Dublin. Dublin City Colouring Book. Publication commissioned by Culturstruction for OpenHouse Festival, Dublin. Killruddery Colouring Book. Publication for Enchanted Gardens - Killruddery Arts childrens festival. Killruddery House, Wicklow. Reverse Psychology (solo). Pallas Contemporary Projects, Dublin. I Hate Myself and Want to Die. Ormond Quay, Dublin. The Big Store. Temple Bar Gallery + Studios, Dublin. Cloud. Artist Installation Room, Hotel Ballymun, Dublin, Ireland. Scented Candle (performance and installation). Temple Bar Gallery + Studios, Dublin. Scented Candle (performance). w/ Birds of Delay and Toymonger. Anseo, Dublin. Utopias. Eigse Arts Festival, Carlow. Curated by Cliodhna Shaffrey. By Diverse Means We Arrive at the Same End. Pallas Studios at CHQ, Dublin. Tremors feat. Gavin Prior (performance). At Paper Rad's The Game. Green on Red Gallery, Dublin. Tremors (performance). The Dirt Once Found in the Grooves. RHA, Dublin. Tremors (performance). DEAF - Electronic Arts Festival, Dublin. Tremors (performance). For Skinny Wolves audiovisual club night. Temple Bar, Dublin. Tremors (performance). Supporting Jape, Dublin. Tremors (performance). FutureShorts, audiovisual club, Dublin. Eilis Museum of Modern Art, as part of Precaution. Irish Museum of Modern Art, Dublin. 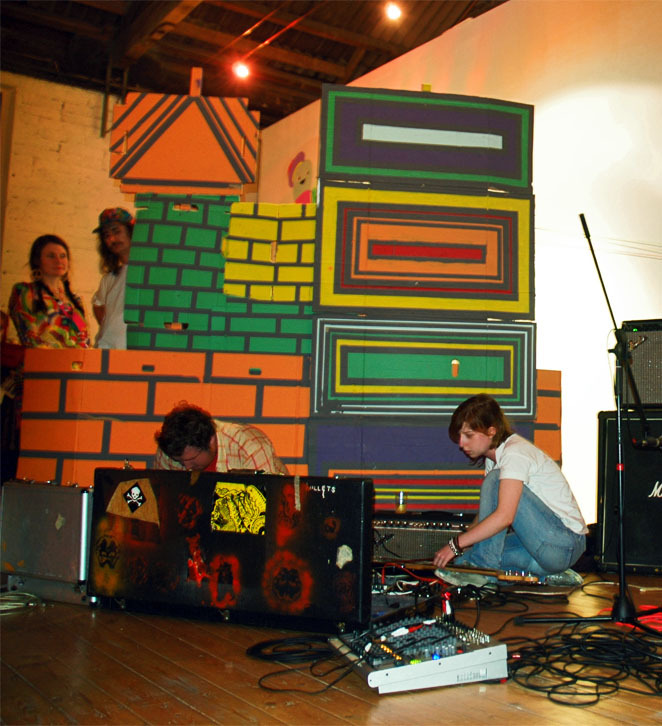 Tremors vs. Jo Anne Butler (performance and installation). Offside Live II, Dublin City Gallery - The Hugh Lane, Dublin. Guerilla Art, Grennan Mill, Thomastown, Kilkenny. NCAD Degree Show. National College of Art and Design, Dublin. 28 Hands, Ard Bia Gallery, Galway. Tremors (performance). Multiple performances at Lazybird, Dublin. Tremors (performance). NCAD Degree Show. National College of Art and Design, Dublin. Tremors (performance). Eamon Dorans, Temple Bar, Dublin. Tremors (performance). at Mór Audio-Visual Festival, Charville Castle, Co. Offally. Tremors (performance). Multiple performances at Lazybird, experimental music nights, Dublin. Tremors (performance). LadyFest, Voodoo Lounge, Dublin. 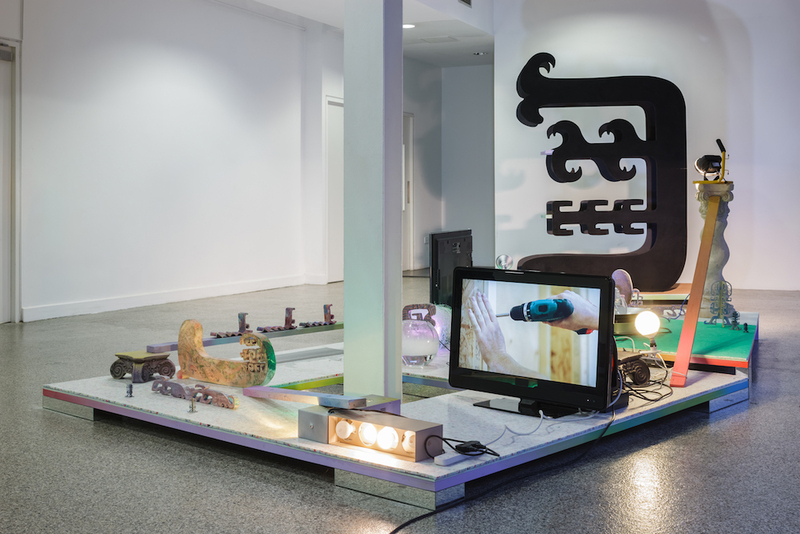 Tremors (performance and installation), at Living Room, Digital Hub, Dublin. Yellow Dot. Castlecomer Forest, Co. Kilkenny. North Western Artist Exhibition. Yeats Gallery, Sligo. 2009 - 2010: Eilis McDonald - Rapture Heap. Commissioned through Dublin City Council Per Cent for Art Scheme for Liberty Corner. Comission curator: Aisling Prior. Temple Bar Gallery + Studios Project Studio, 2010 - 2011. Arts Council of Ireland Travel & Training Award, 2010. Arts Council of Ireland Artist in the Community Scheme Research and Development Award, 2010. Numinous Objects. Inserts contained within the publication Etudes des Gottnarrenmaschinen by Shane Anderson - Broken Dimanche Press, 2012. Numinous Objects. 2 page spread in Junk Jet net-heart! issue, 2012. Dublin City Colouring Book. Eilis McDonald, 2008. 20 page lithographic print, edition of 2000. Commissioned by Culturstruction & Dublin City Council. Kilruddery Colouring Book. Eilis McDonald & JoAnne Butler, 2008. 10 page photocopy print on recycled paper, edition of 100. For Kilruddery House Children's Festival, 2008. Going Blind. Eilis McDonald & JoAnne Butler, 2006. 18 page photocopy print on mixed papers and plastic, edition of 20. Artist book of collaborative drawings for exhibition. Astral Projection Abduction Fantasy. NightScreen at Monster Truck Gallery, Temple Bar, Dublin. (Standard Features HD.) 2012. The True Artist Helps the World by Revealing Mystic Truths. Rapture Heap, Unit 3, James Joyce street/Liberty Corner, Dublin. 2009. I Hate Myself and Want to Die. 6 Lwr Ormond Quay, Dublin. Co-curated with Jenny Brady. 2007. Going Blind. Ard Bia Gallery, Galway. Co-curated with JoAnne Butler. 2006. Tremors - Andrew Fogarty, Eilis McDonald (c. 2003 - 2007). Munitions Family Band - Andrew Fogarty, Ivan Pawle, Gavin Prior, Eilis McDonald (2008/09). Scented Candle - Ivan Pawle, Eilis McDonald (2007 - ∞). 'Display Show'. Rebecca O'Dwyer, Frieze, September 2015. 'Display Show'. Sara Baume, TBG+S. July 2015. 'Eilis McDonald, Divider Tumblr'. Paddy Johnson and Whitney Kimball, ArtFCity.com. April 2014. 'Turning Your Tumblr Into IRL Sculptures'. Nadja Sayej, Creators Project / Vice. March 2014. '01 for All and All for 01'. James Merrigan, Billion Art Journal, April 2011. 'The Chill Zone'. Brian Droitcour, Rhizome.org, July 2010. 'Rapture Heap v2.0 - Back 2 Reality (2010)', on Rhizome.org. April 2010. 'The GIFs that keep on giving'. Dakshana Bascaramurty, The Globe and Mail. September 2009. 'It Goes On'. Aidan Dunne, The Irish Times. July 2009. 'Opening the Chakras' on Rhizome.org. June 2009. 'Best Link Ever! Forms of Melancholy…' on ArtFCity.com. April 2009. 'On Sale!'. Brian Droitcour, Rhizome.org. March 2009. 'General Web Content: Tumblr'. Ceci Moss & John Michael Boling, Rhizome.org. February 2009. 'Pallas in Wonderland'. Victoria Watson, Dublin Metro. February 2007. 'Contemporary Art Finds a Pallas'. Eimear McKeith, Sunday Tribune. February 2007. 'The Peoples Pallas'. Emma Cullinan, Irish Times Magazine. February 2007. 'Portrait of the Artist and Her Work'. Irish Independent. January 2007. 'Festival Takes a Subtle Approach'. Aidan Dunne, Irish Times, September 2005.